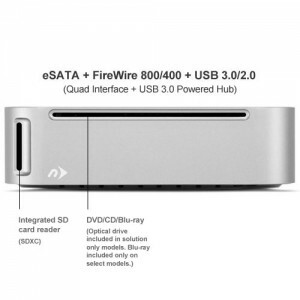 There are many types of products on the market that help you cope with your storage, DVD/CD playback, or connection needs. 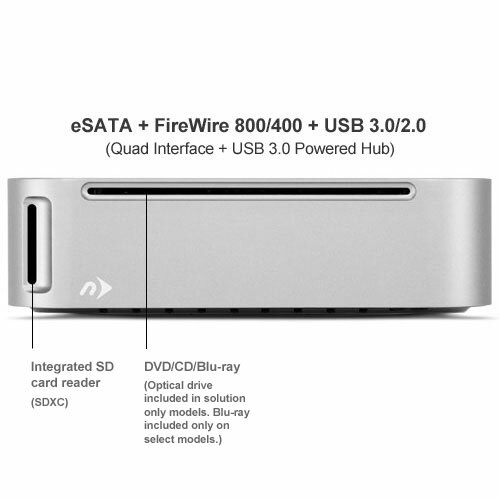 You can easily go to a local store and pick up a few pieces of hardware like a Blu-ray player so you can view movies ,or a hard drive to store extra files of backups, or possibly a USB hub so you can meet your demand of USB connections. Or instead you could use a product called the miniStack Max. The miniStack Max packs a whopping amount of hardware in a sleek aluminum body. You have many options when purchasing a miniStack Max. In total, 20 options. There are four different kits; within the first three kits there are six different storage size options from zero GB all the way to 4.0 TB. The four different kits are: Blue-ray Reader Solution, Blue-ray reader/Writer Solution, and DVD/CD Reader writer Solutions. The fourth kit is a bare minimum kit where you buy the device without a drive or a hard drive. The bare minimum kit will set you back starting at 149.99. 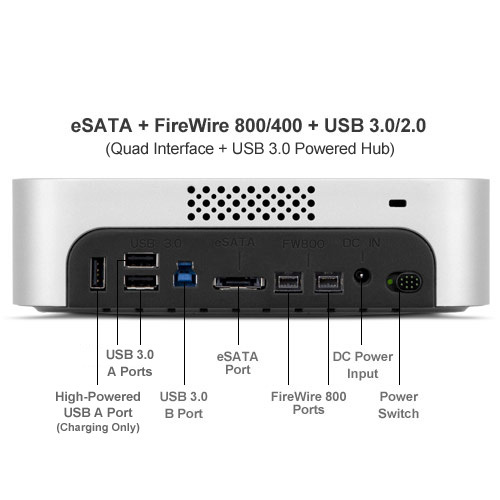 The miniStack Max was originally made for use with the Mac mini. The miniStack Max takes on the same design principles as the Mac mini so you can stack it on top of either unit; hence the name mini “stack” max so you can fulfill your needs of these hardware products, because Apple has managed to leave some of these pieces of hardware out of the Mac mini. This product can also be used on other laptop or desktop computers, whether it is be Mac or PC. 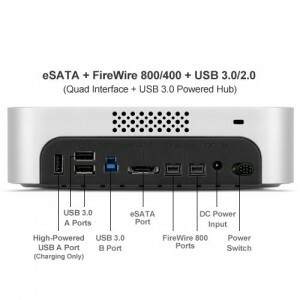 It is not only for the Mac mini; it was just designed in the same form factor. I own a Macbook Pro Retina, but I knew that the device would still be completely compatible for my machine. The problem was, since the miniStack Max is more meant for the Mac Mini, the cables were much shorter than anticipated so I was not able to set the device on the ground out of the way and use, but rather had to set it literally next to my machine just so I could connect it via USB 3.0. Maybe this is just me, but when the machine is in idle mode, and the hard drive stops spinning, the fan is still irritatingly loud when I was trying to fall asleep. Now this isn’t much of a problem since there is a On/Off switch on the back of the unit, but since it has the MagLev fan that is also issued within the Mac mini models, I would have thought it would have been a bit more quiet. I personally love the machine since I am all about sleekness and ease of use when it comes to electronics. I appreciate how the miniStack Max packs in a ton of hardware in Apple-like form factor without the Apple -like price. The product is a must if you are looking for an external unit to offer you more then the minimal amount that most external drives offer.